July 27, 1921 - February 12, 2017 Etta Chung Hee Young Pak passed away peacefully on February 12, 2017, at the Korean Care Home. She was born in Kunia, O`ahu, Hawai`i, on July 27, 1921, to parents Eung Whan Young (arrived 1905) and Ok Soon Lim (arrived 1913), 1st-generation Korean immigrants. Her parents were pineapple and carnation farmers, and also operated the `Iolani Hotel. Etta graduated from McKinley H.S. in 1941 and entered Cannon's Business College; worked at Fort Ruger during WWII, and then as a bookkeeper and a bank teller for over thirty years. In 1988, she retired to take care of her grandchildren, watching them grow and becoming proud of their achievements. She gave everything in her life to her family. She is loved deeply by her family and will be greatly missed. 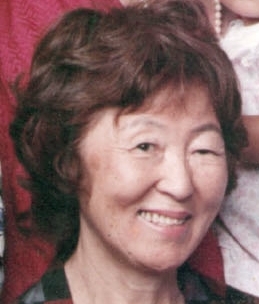 She is survived by her son, Gary Yong Ki (Merle); three grand- children, Daniel Damian (Amy), Michael Yong San and Jenna Tokie; two great-grandchildren, Jahyoo Yamakaze and Asa Teoki Mala`ekai; two sisters, Elaine S. H. Woo and Rosemarie U. H. Kim; three brothers, James S. K. Young, David H. K. Young and Joseph M. K. Young; and many nephews and nieces. Funeral services will be held at Hawaiian Memorial Park chapel on March 7, 2017. Visitation 3:30- 4:30 pm. Service 4:30-5:30 pm. Burial on March 8, 10 am at HMP.